Hurling the Silver Ball. St Columb, Cornwall. Hurling the Silver Ball. St Columb, Cornwall 1972. Shrove Tuesday and the second Saturday following. The game is played between two teams comprising of Townsmen and Countrymen. 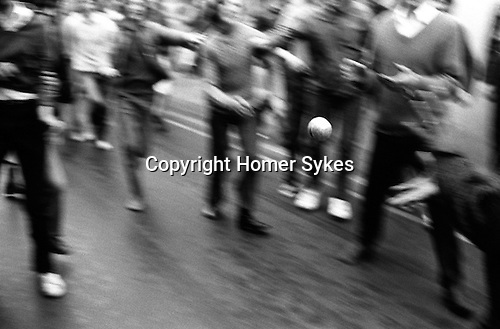 Traditionally the ball is hurled for the first hour in town.